Lately, my obsession for pumps with bow details has increased. 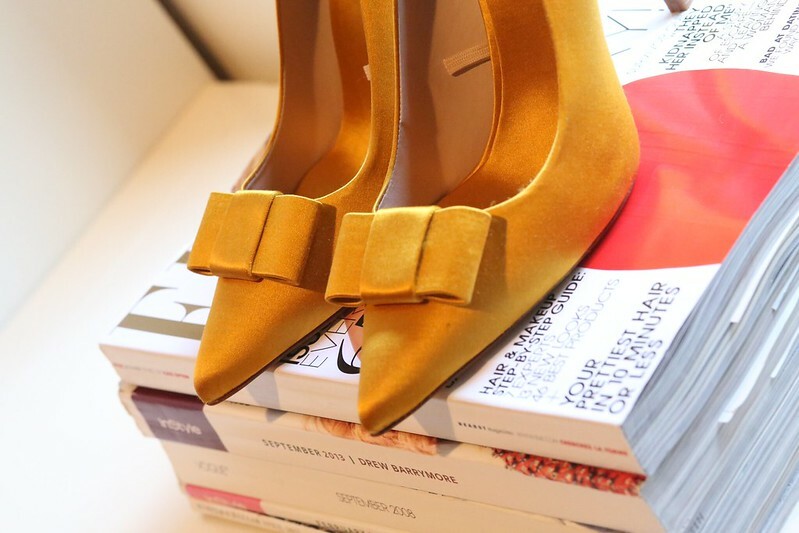 I could not find this Jimmy Choo in my size, as such, I will happily settle with these satin yellow pumps by Zara. I am also in love with my Macy's emerald necklace...emerald/mustard are colors I will be adding to my fall style. Been eyeballing these pumps. They are beautiful. Absolutely amazing, I could do with this in my closet for years and years. Solid purchase and Congrats on your baby. cute!! I love these pumps!! 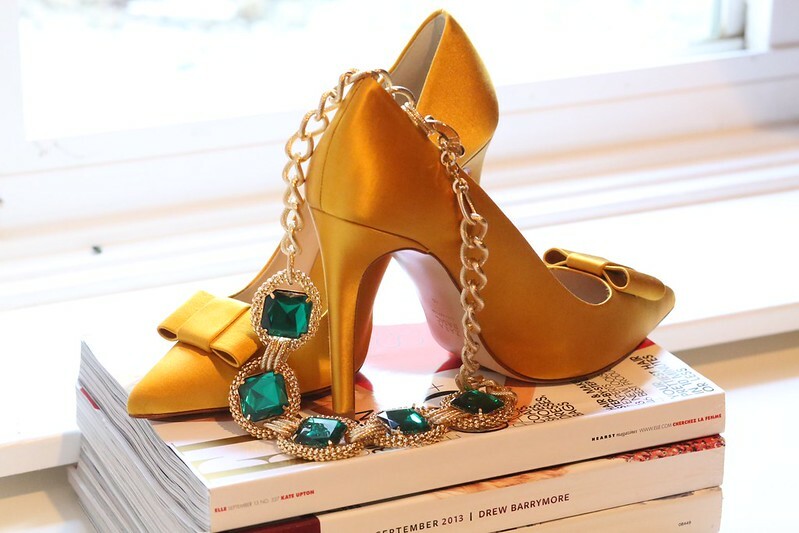 OMG these shoes are gorgeous!!! This is amaze balls...your picture quality, smh positively....awesome..
Those shoes are awesome and I love the necklaces too. 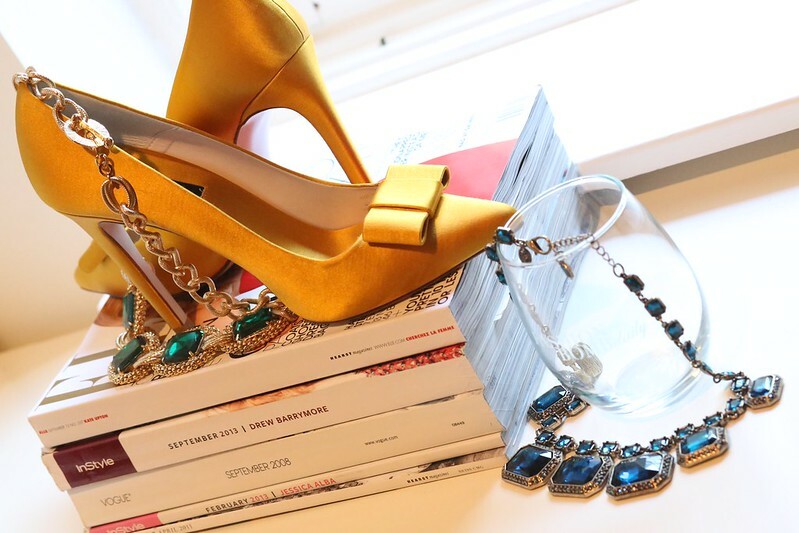 beautiful shoes, and that neck piece is really pretty! Brilliant finds Stella. I love.